Dumper hire for DIY & commercial construction sites is what we at UKD Diggers Ltd specialise in. That, combined with our reputation for excellent, expert, service and site ready dumpers helps Move your project along nicely! 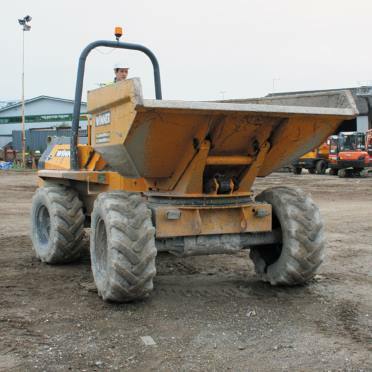 Our dumper hire Derby depot is conveniently situated to deliver to your site or home throughout The Midlands including Derby, Nottingham, Burton on Trent, Uttoxeter, Ashbourne, Lichfield and Swadlincote. 4 Tonne Swivel skip only. UKD Diggers Ltd. – Specialists in Plant Hire and Customer Service Excellence. For an immediate quote call now! We are specialists in digger hire, dumper hire, roller hire, plate compacter hire & plant servicing. We pride ourselves on delivering outstanding service & value.